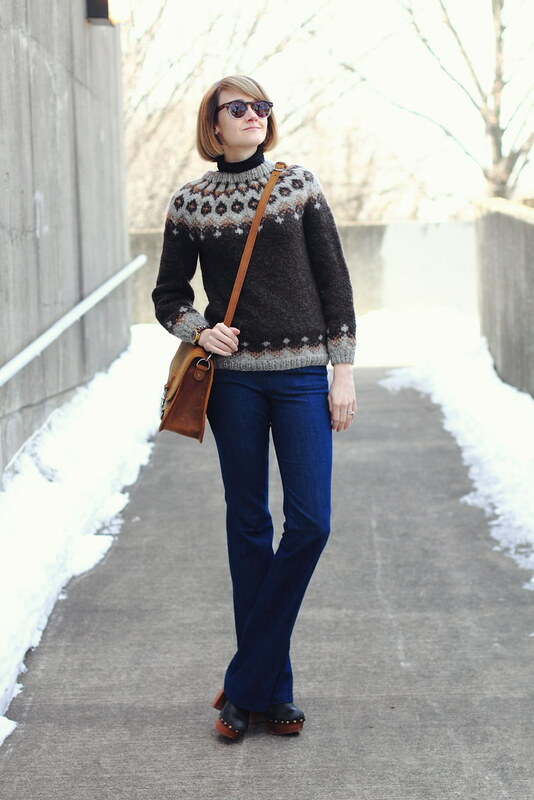 Are you all as excited as I am for the major ’70s trend that’s been rolling down the runways as of late? I couldn’t be more thrilled to bust out my clogs, flares, and suede. 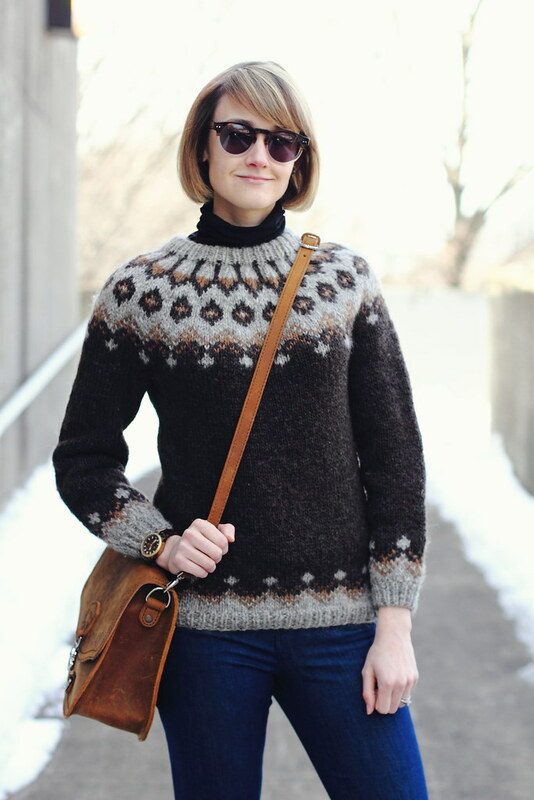 I thrifted this sweet nordic knit last week and love how well it pairs with all of the above. Of course the extreme warmness factor is key right now, too, though I really wish it wasn’t! Envious that you can wear turtlenecks-I look like a turtle. 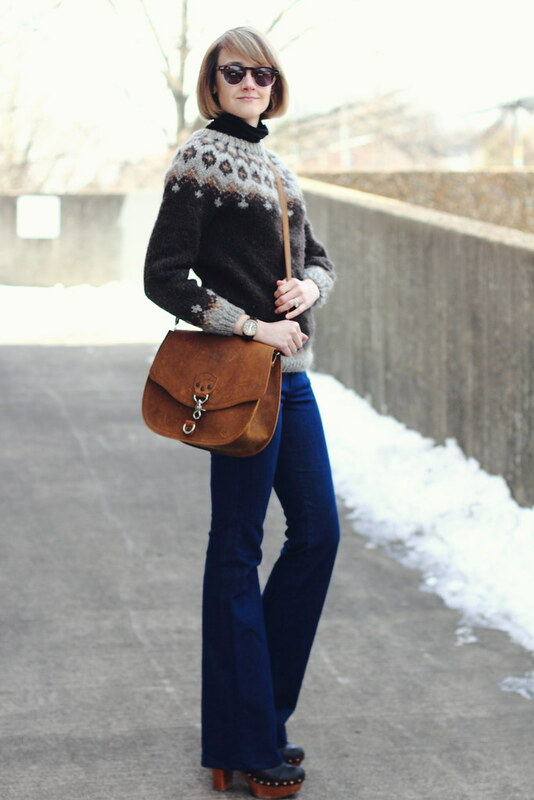 I love the clogs-I always lusted after my older sisters pair. Love that sweater! 😀 And yes, so excited that flares and 70s style pieces are more in style. It's been slowly happening the past few years but now its in full force! Amaaaaaaaaaaaaazing outfit, so trendy!!! love the 70s trend on you 🙂 the shoes are just perfect! It's very fun, it it's so nice to be able to embrace a different denim silhouette. the 70s are always fun! and that handbag? LOVE!! !